Forgot Hotmail password or locked out of your account? You can get access to your account with the simple account recovery process. 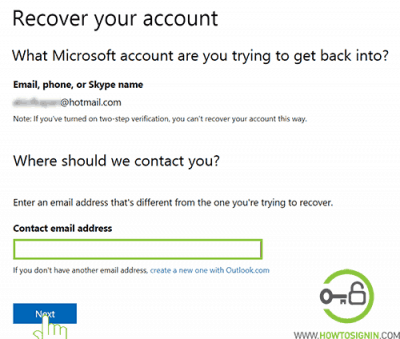 To reset Hotmail password, you need a recovery email address or mobile number linked with your account or two-step verification app connected to your account. Know your account password and just want to update it? Go to Hotmail password change. 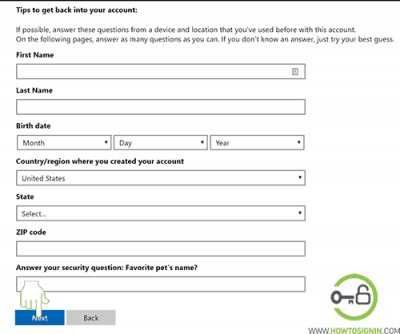 If you don’t have access to any of recovery options, you should be able to answer some questions about your Hotmail account to verify you are the owner of the email account. 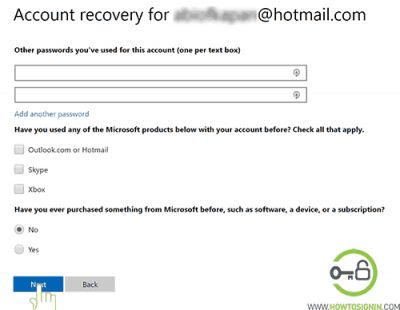 Go to directly to Hotmail password recovery page. Alternatively, go to hotmail.com, click ‘Sign In’ and enter your Hotmail email and click Forgot my password to reach password reset page. You will see the option for ‘Why can’t you sign in?’ Choose I forgot my password. 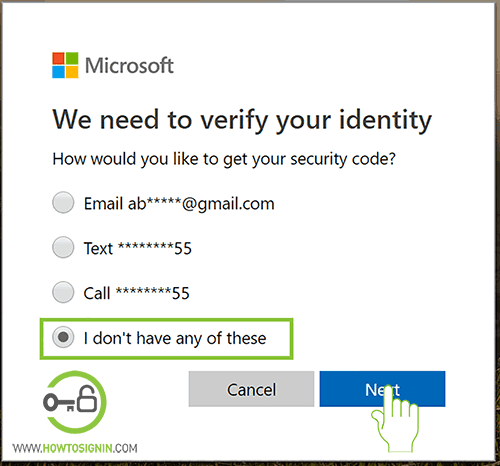 Microsoft needs to verify your identity. Depending upon your recovery information, you’ll see multiple options to receive security code. You must have previously set an alternative email, phone or App. 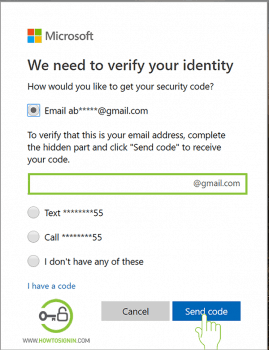 Email: If you’ve set email as a recovery method in your account, you can choose it to receive security code. Enter recovery email address and click Send Code. Text: You can get the code as text by selecting ‘text’ option and entering the last four digits of the phone number which is associated with your account and click Send Code. Call: If you are not able to receive a text to your phone, you have an option to get a call from Microsoft to reset your Hotmail password. Enter your last 4 digits of your number and click ‘Next’. Use an app: If you have connected Microsoft Authenticator app to your account, you can use the code generated on it to verify your identity. Enter the verification code you got in your inbox. You’ll get into password reset page where you can create a new password for Hotmail. 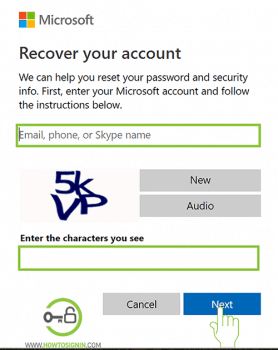 Make a new password, and you’ll get the message from Microsoft saying ‘Your account has been recovered. Your password was changed’. 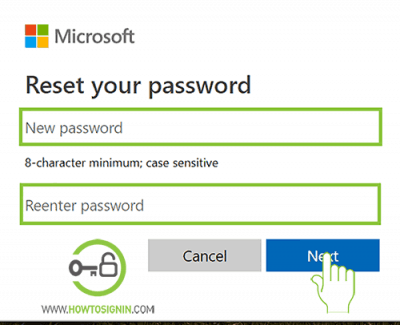 Now you can log in to Hotmail account with a new password. I don’t have any of these: If you don’t have access to any recovery method or don’t have any option associated with your account, then you can select this option. 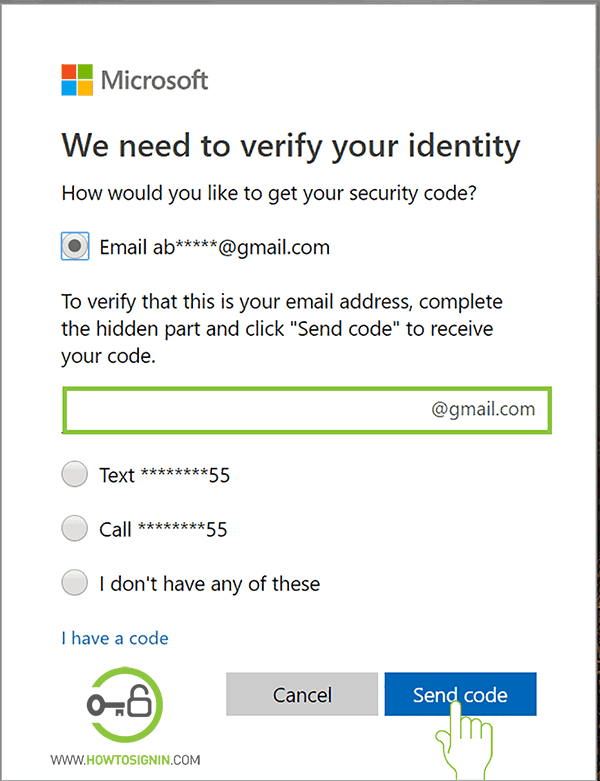 This option doesn’t work if you have enabled two-step verification for your Hotmail email. Sometimes you lost access to recovery email or phone number and don’t have any other option to receive security code. Don’t worry even if you don’t remember the recovery method. You can still reset Hotmail password using the alternate method, but this method doesn’t have any guarantee to work. The success of the process depends on the information you remember about your account. Enter your email address where Hotmail staffs can contact you. This email address should be different from the email address you want to recover. Enter the verification code you’ve received. 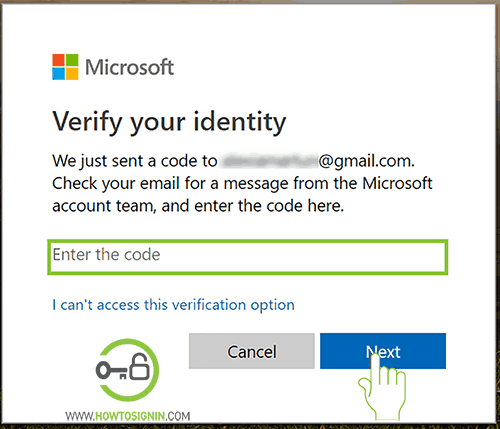 Now you need to enter all your details that includes your first and last name, date of birth, country, and answer to the security question you have provided while creating your Hotmail email. If you have checked an option, you need to provide few details like contacts from Skype, your credit card number if you have made any purchase to make your recover option strong. After giving details, click ‘Next’. Now, your information has been submitted and they will review and reply you back soon. Microsoft will send you an email on contact email within 24 hours. If you’ve entered enough correct details, you’ll get your account back. Otherwise, you have to try again with accurate information. Now you will be able to login to Hotmail account with new password. your Hotmail is inactive for more than 365 days. You deleted your account, and it’s been more than 60 days since then.